There is a growing opposition to the General Legal Council (GLC)’s Legislative Instrument (LI) seeking to legitimise the entrance exams and interviews which are part of the admission processes at the Ghana School of Law. 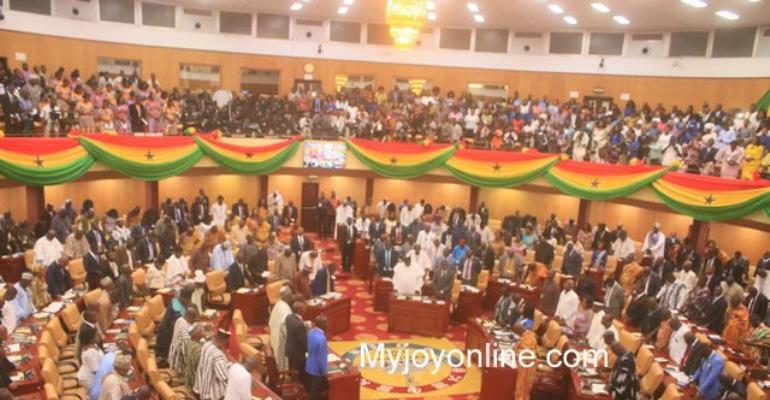 With barely a month to the maturity of the LI, Myjoyonline.com has learnt some Members of Parliament (MPs) are gathering signatures to throw it out. Member of Parliament’s Subsidiary Legislation Committee, Shaibu Mahama has expressed optimism his colleagues will raise the required signatories to stop the LI from being passed. “I am confident from the way and feeling within the House,” he told Joy News’ Joseph Opoku-Gakpo Wednesday. In a House of 275 lawmakers, opposition to any matter will have to get about two-thirds majority support, exactly 183 MPs, in order to strike it down. “It is going around on the MPs platform…I haven’t signed but I will,” the Daboya-Mankarigu MP said of the petition. The laying of the LI in Parliament has generated some tension between LLB students hoping to go the Law School and GLC. (c) he has passed the final examination in the list of seven specified in Regulation 2(c). The GLC has introduced entrance exams and interview sessions, which the Supreme Court in June 2017 held were "unconstitutional" and directed it to amend portions of the original LI1296 to cater for those two. But the people opposed to the LI have been buoyed by the mass failure recorded in the 2017 Ghana Bar Exams that showed about 81percent of the students failed. Out of the total 474 students who sat for the 2017/2018 final exams at the Ghana School of Law, a staggering 383 students failed while only 91 passed. Already, Minority Chief Whip Muntaka Mubarak has initiated discussions with his colleagues to stop the LI from being passed in the House. US-based Ghanaian professor Stephen Kwaku Asare who has been calling for changes in the Law School admission process said the results reinforce his argument that the GLC's entrance exams and interview are not "good assessment tools."